Tomorrow I'm going to spend the day reminding myself to take things slow... to rest... to heal. I'm not very good at doing those things... even after major abdominal surgery. There are just so many things that I want to be doing. And there are so many fun activities this time of year that are so much easier to do with my parents visiting and so we've been spending a lot of time out of the house enjoying a beautiful Michigan autumn... my goal for tomorrow is not to go out looking for fun activities, even if I really, really want to in the morning when I have the whole days worth of energy still saved up and ready to spend. Still, this weekend was full of memories and I came away with quite a few pictures that I couldn't wait to share. So here is James' first weekend of life in pictures! Patch is smitten with his baby brother. He loves to lay next to him and pretend to be a kitten and meow at him. James thinks it's all pretty silly. James had his first doctors' appointment on Friday afternoon. He'd gained two ounces since the night before. On Friday night Sadie had an AHG meeting. It was pretty wonderful because it was the first meeting for a brand new troop started at a local Catholic Church. We were both pretty thrilled when we heard about it! And she had an awesome time! 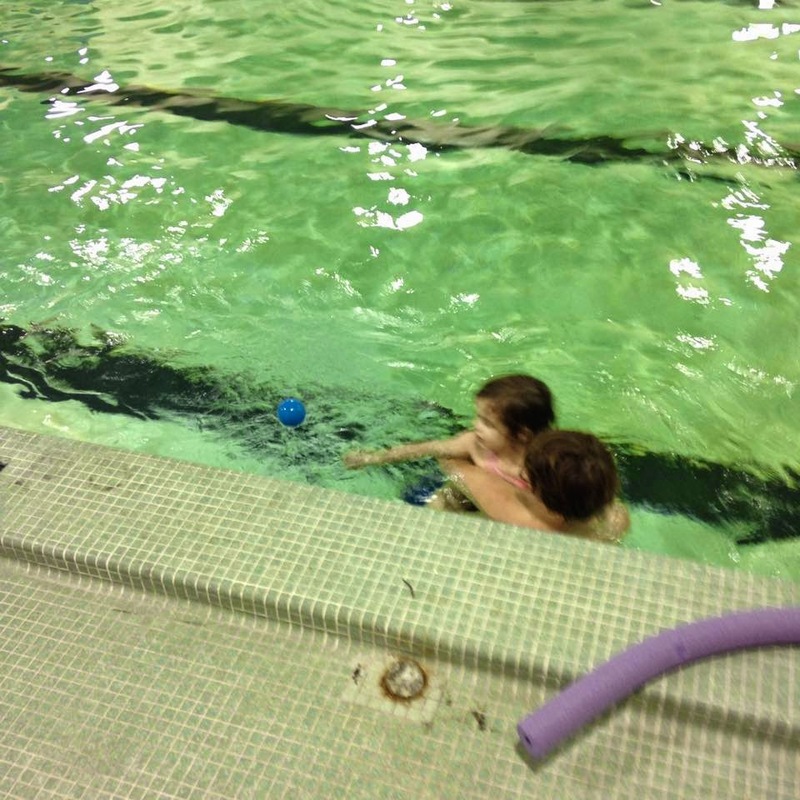 On Saturday James and I accompanied Mae to her swim lesson class and got to see our little mermaid in action. After that we headed over to the draft horse show at State. Mae spent the rest of the weekend perfecting her horse sounds. Sadie was definitely a fan of the horses. On Sunday we took the kids to Boo at the Zoo for a hayride and fun seeing the animals and all the other kids walking around in costume. Our pumpkin was joined by a Ninja Turtle, a mermaid and a butterfly. We got in a typical family picture (or six). And Grumpa wrangled a fussy Patch who changed his mind about whether he'd rather be up or down every ten seconds. The butterfly costume was definitely a hit. Before Mass. Around bed time Paul and I took James to his very first Mass. As you can see he was very excited! As with just about every activity this weekend he slept through the whole thing without making a peep! And that was James' very first weekend in pictures! A week ago tonight we were gearing up to go to the hospital! Oh how the last seven days have flown by! Love it. Thanks for sharing. Beautiful family. Cammie, take care of yourself! 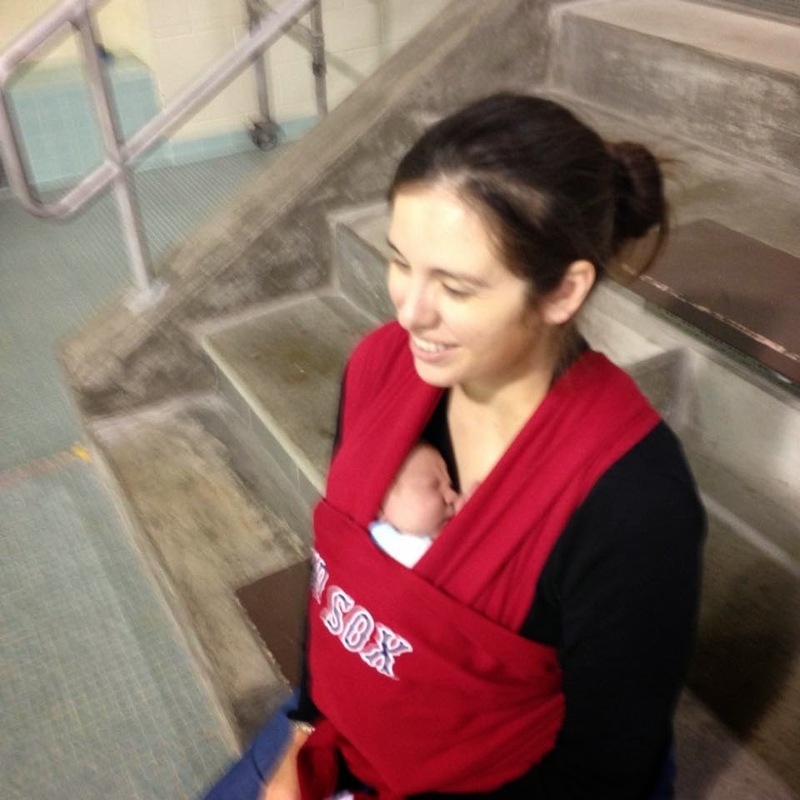 linda r.
Thanks for sharing pictures of your family and the new baby. So great to know your parents are there to help you out! I was so glad to see that a new AHG troop opened at the Catholic Church! How great is that? God is so good! I hope Sadie has some wonderful experiences with them, as I did as a Brownie WAYYYYY back in the olden days.